Hotel Altieri in Mestre enjoys a prime location among the 3 star hotels and is easily reachable by car or public transportation: 2.5 miles from the the Mestre bypass (exit Aeroporto / Dese / Favaro); 3 miles from the Venice Marco Polo Airport ; 6 miles from the historic center of Venice; 2.5 miles from Mestre's historic center, shopping centers, and office districts; 9 miles from the Venetian Villas along the Brenta Riviera; 22 and 12.5 miles respectively from the nearby art cities Padua and Treviso. Hotel Altieri is well served by public transit: buses No. 45 or No. 9 to the airport and the train station, No. 19 to Venice, Nos. 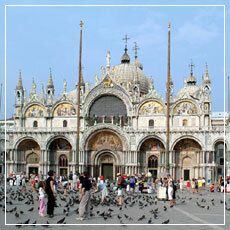 4 to Venice (the bus stop is 50 yards from the hotel, frequency every 15 minutes). For game lovers, the Ca' Noghera venue of the Venice Casino is about 4 miles from the hotel, 10 minutes by car, or by bus No. 45. 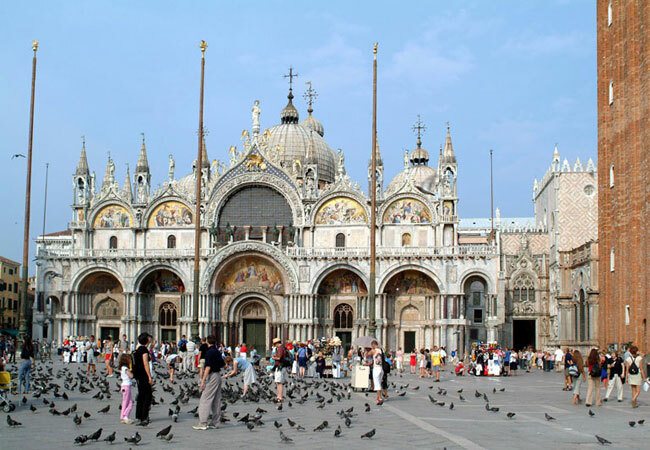 Hotel Altieri's free parking lot allows guests to leave their car at the hotel and take the buses that stop only 50 yards from the hotel and run every 15 minutes until late in the evening to the historic center of Venice. From Mestre to Piazzale Roma (the Venice car terminal) takes about 25 minutes. 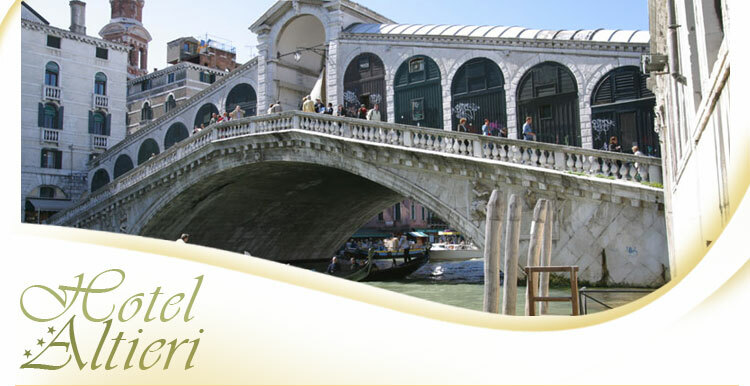 From here begin the routes on foot or by vaporetto along the picturesque narrow streets and enchanting canals that lead to the most beautiful and renowned sites in Venice: the Rialto Bridge, Saint Mark's Square, the Grand Canal, the Gallerie dell'Accademia, etc. 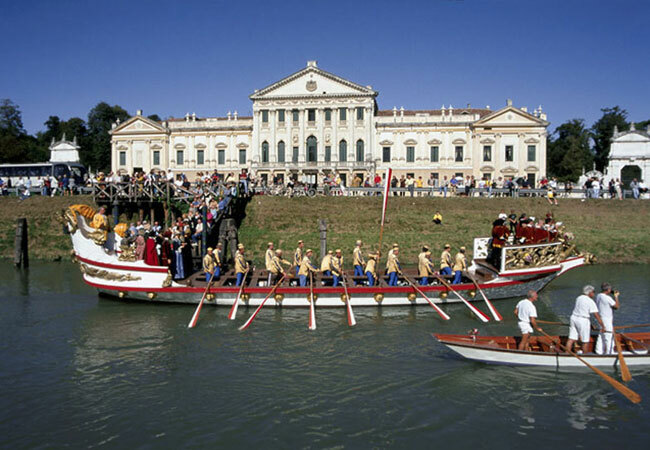 The splendid road that runs along the Brenta River and leads to Padua through the delightful towns Oriago, Mira, and Dolo where, since the mid-16th century, Venetian nobles built sumptuous "plantation villas" at which to spend the holidays and manage their estates on the mainland. 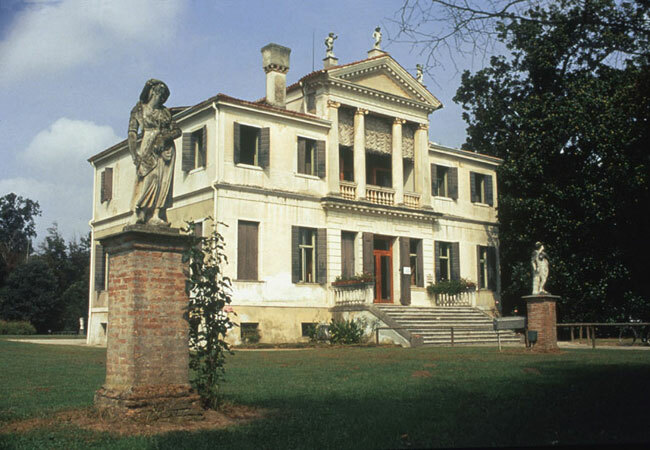 Must-sees: La Malcontenta, a wonderful work by Palladio, the perfectly preserved Villa Widman Foscari in Mira, and Villa Reale Pisani in Strà, with its frescoes by Tiepolo, splendid garden, and famous labyrinth. From Hotel Altieri 20 minutes by car (on the highway) bring you to the historic center of Padua, one of the most beautiful and elegant cities of the Veneto region. It is delightful to wander through the medieval squares of the center: Piazza delle Erbe with the handsome Palazzo della Ragione, Piazza della Frutta crowned by the Tower of the Elders (Torre degli Anziani), and Piazza dei Signori with the Clock Tower (Torre dell'Orologio) and the ancient palace of the Carraresi family. Prato della Valle, one of the largest squares in Europe, is simply breathtaking. Don't miss: the Scrovegni Chapel, with frescoes by Giotto, and the Basilica of Saint Anthony of Padua, artistic and devotional masterpiece. 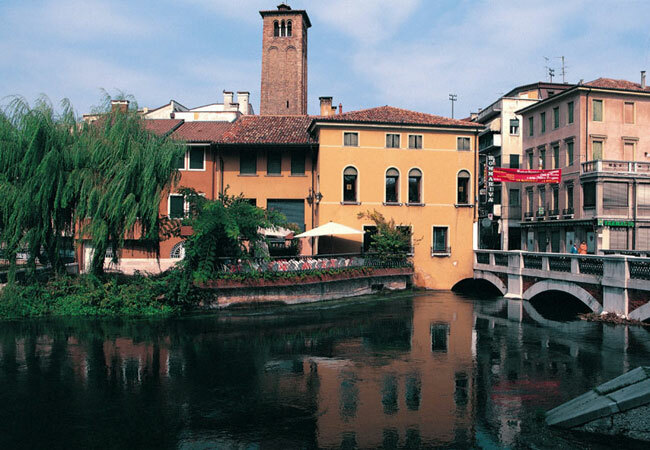 From the hotel, in 10 minutes on the highway or in half an hour along the Terraglio, the long, tree-lined road overlooked by beautiful Venetian villas, you will reach Treviso, a delightful city full of waterways contained by 16th century walls and crossed by picturesque pedestrian walks. The tiny medieval streets of the center are crossed by the Sile and the Cagnan, clear, natural groundwater rivers that reflect picturesque views of houses and historic palaces. Don't miss: Casa dei Carraresi, Piazza dei Signori, the medieval churches San Niccolò and San Francesco and the complex of Santa Caterina. From the airport take the ACTV line bus No. 45 and get off after about 7-8 minutes in Piazza Pastrello (Favaro Veneto). The hotel is 200 yards away, at Via Altinia 51. Take the Eurobus shuttle for Mestre and get off at the Train Station. Then take the ACTV bus No. 45 or No. 9 (to Favaro) and get off after about 15 minutes at Piazza Pastrello (Favaro Veneto). The hotel is 200 yards away, at Via Altinia 51.